Zhou Xun: Actress Zhou Xun Croons for "True Legend"
Popular Chinese actress Zhou Xun has lent her voice to the theme song for director Yuen Woo-Ping's upcoming kung-fu drama, "True Legend", starring Zhou and Vincent Zhao. "True Legend", which will be rolled out in Chinese cinemas on February 9, is a biopic about 19th-century martial artist Su Can. Vincent Zhao plays Su Can, with Zhou Xun as his supportive wife. 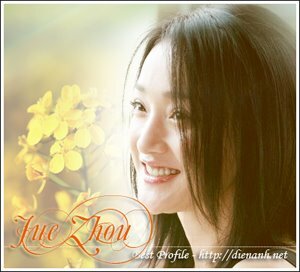 Zhou Xun is hailed as one of China's four most popular actresses, together with Zhang Ziyi, Zhao Wei and Xu Jinglei. Aside from her critically acclaimed acting skills, Zhou Xun is also a singer, having released a couple of studio albums and been featured on the soundtracks for a long list of her films. "True Legend" boasts a strong supporting cast that includes actress Michelle Yeoh, singer-turned-actor Jay Chou, and director-actor Feng Xiaogang. It is also one of the last films featuring "Kill Bill" star David Carradine, before he passed away last year. A 3-D version of the special effect-rich "True Legend" will be screened at the Berlinale Special section during the 60th Berlin International Film Festival between February 11 and 21.